Just a bit of fun. I thought you might like to know what my bookshelves look like. 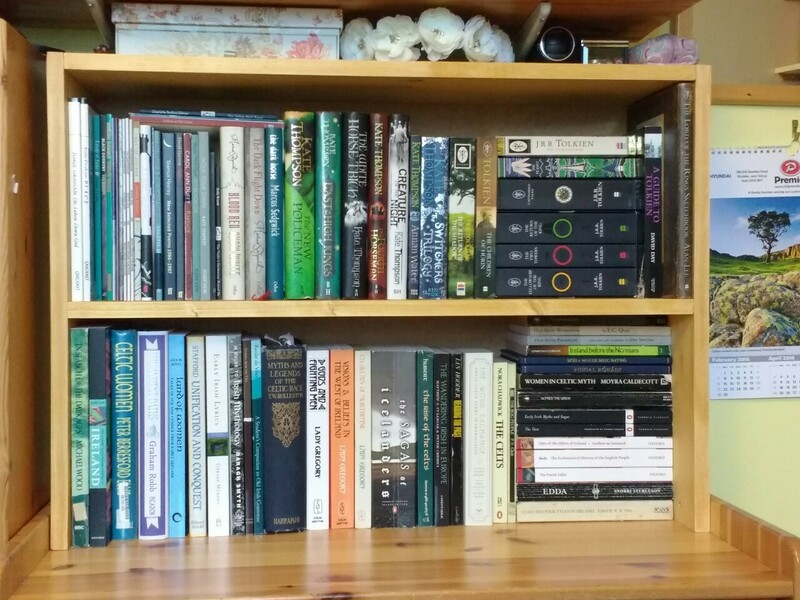 They’re overcrowded, and I pretty much have to reorganise the whole lot whenever I get new books because they don’t fit. I also just compulsively try and improve them, so however recent these photos are, they’re probably already out of date. Ah well. If you’re not on Instagram, I also cross-post these pictures to Tumblr, though there’s sometimes a delay of a couple of days (since Tumblr mobile hates me). My bookshelf at uni, 2015-6. I mostly kept tea on these because they weren’t tall enough for normal-sized books. The corridor overflow shelf (the ‘designated ugly shelf’) already full by December 2016. It’s been reorganised somewhat since this was taken, too.